There are so many benefits to drinking water, but many of us don’t drink nearly enough. Whenever you’re struggling to drink your fourth or fifth glass, try one these 7 tips to drink more water. Before you know it, you’ll be meeting that daily requirement effortlessly. It helps to set goals to be successful, even with something as simple as drinking water. Goals may seem hard to reach at first, but they are the best way to keep you on track. Decide how much water that you want to drink in a day—this may depend on your activity level—then set daily or hourly goals based on that. To make easier at first, start with less and see how you feel. • Draw lines on a large bottle to correspond with certain times throughout the day, then try to drink those portions by the specified time. • Print out a water tracking printable and “fill in” each glass as you fill it. • Download an app so that you can track your water intake on-the-go, such as Waterlogged or Water Your Body which will send you reminders throughout the day. If you don’t prefer the taste of plain water, you can add in fresh or frozen produce to your cup—or use a special fruit infusing water bottle—to give it some flavor. Not only will you get the health benefits of drinking more water, you will also get the benefits of the fruits and vegetables. A few slices of lemon or lime, or a handful of berries is probably the easiest to start with, but you can do a quick search on Pinterest for a new recipe or combination. If you don’t have fruit that is readily available, you can buy prepackaged powder flavors that are convenient for traveling. 3. Hydrate with water rich foods. 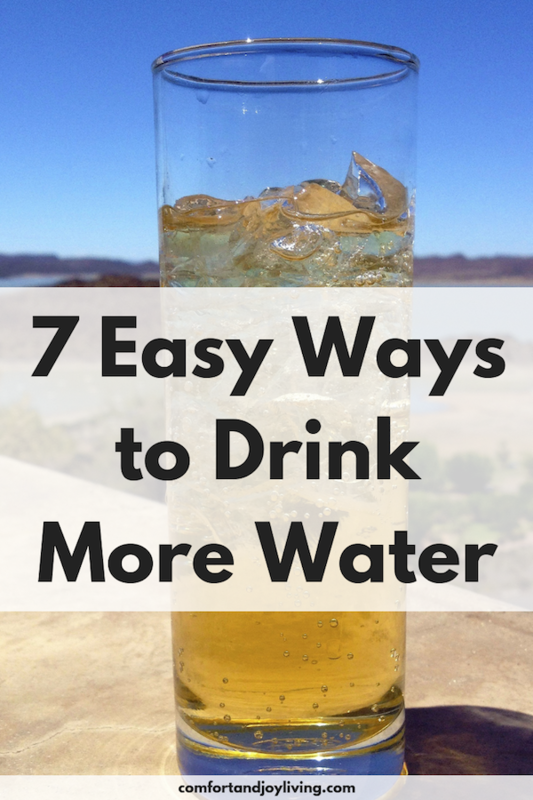 Fortunately, drinking water straight up isn’t the only way you have to meet your daily quota. Foods like cucumbers, salad, watermelon, grapefruit and strawberries—just to name a few—are quite high in water, are low in calories and will keep you fuller, longer. 4. Link drinking water with common daily activities. Start a habit by linking water with some common daily activities. Sip some water before, during and after every meal. Have a glass of water after you leave the restroom. Fill up a cup every time you pass the water cooler. 5. Invest in a fun bottle or cup. It may seem a little silly placing any importance on using a certain kind of cup, but if you really love your cup, then you will want to use it. Motivating yourself to drink more water may come down to buying a pretty new cup. Buy one in your favorite color or a unique design and you’re sure to use it more. You can even decorate them with motivational stickers or quotes to help you keep going. 6. Drink from large bottles. As the saying goes, bigger is always better. Carrying a large bottle may incite you to drink more water, plus it makes it easier to achieve your goal of 8 glasses a day. Small water bottles can make meeting your daily water quota more difficult since you have to drink so many. Carrying a larger container may incite you to drink more water, not to mention it makes it easier to achieve the recommended goal of 64 ounces or 8 glasses of water per day. 7. Dilute sugary juice with water and ice. If you have a daily habit of drinking juice, iced tea or lemonade, water these drinks down with water and some ice. You’ll still fill your craving for something sweet and have a healthy dose of water that your body needs.